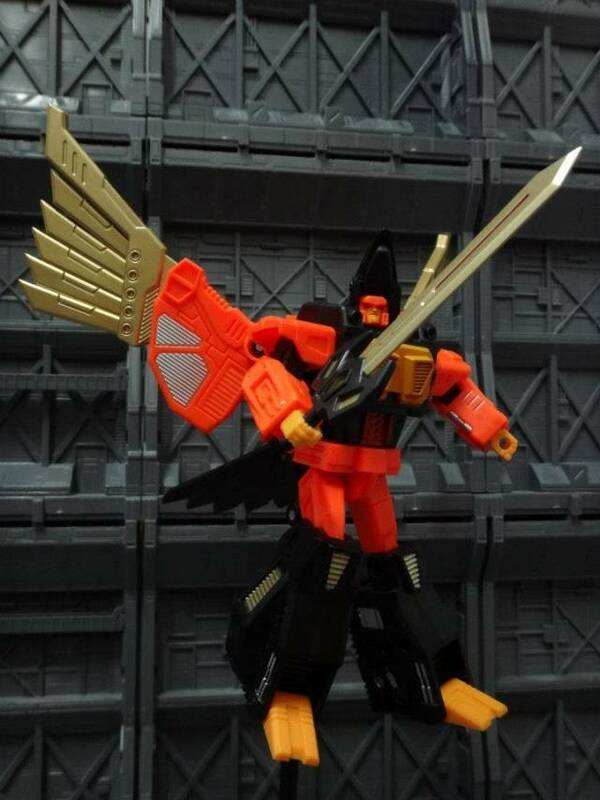 War Hawk is one of 5 figures by Unique toys, that combine together to form the mighty War Lord! Note: Photo is of a prototype, final product will vary. Promotional pricing is only for the first run of War Hawk - subsequent releases will be at the normal price so preorder yours today! 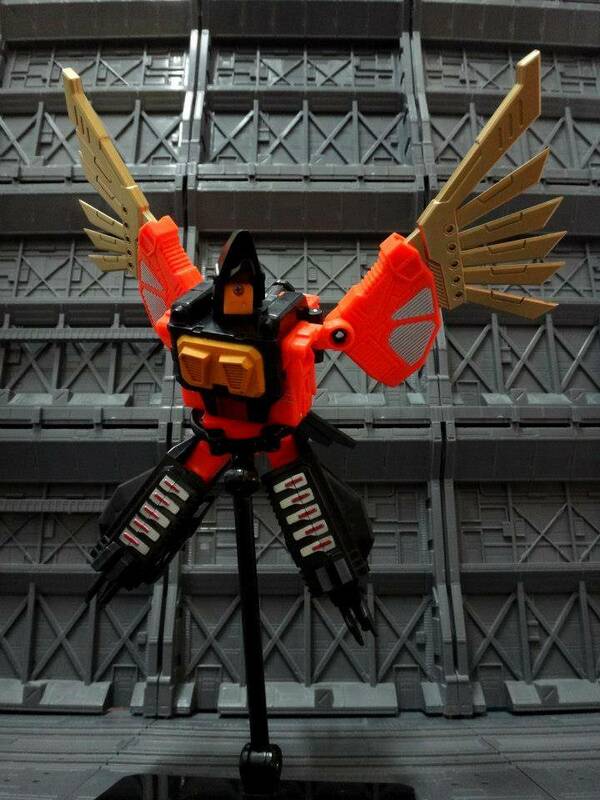 War Hawk is without a doubt the weak link of the entire War Lord set. This is not completely unexpected, being Unique Toys' first released figure, but the difference in quality and engineering between War Hawk and his teammates is staggering. 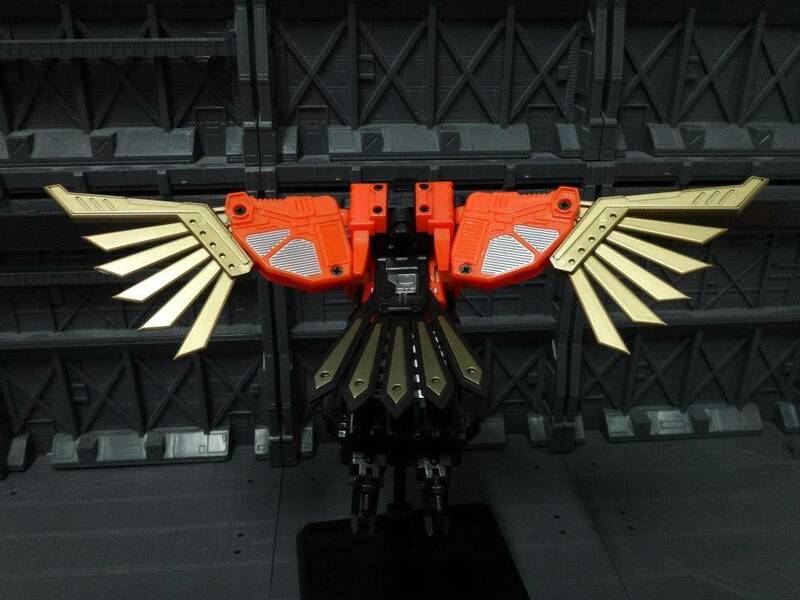 Hawk mode is the figure's weakest offering. While this can largely be attributed to the character's design, the toy is not very well engineered. It is a very difficult to balance in any way other than laying down, and the head swivel is extremely loose. 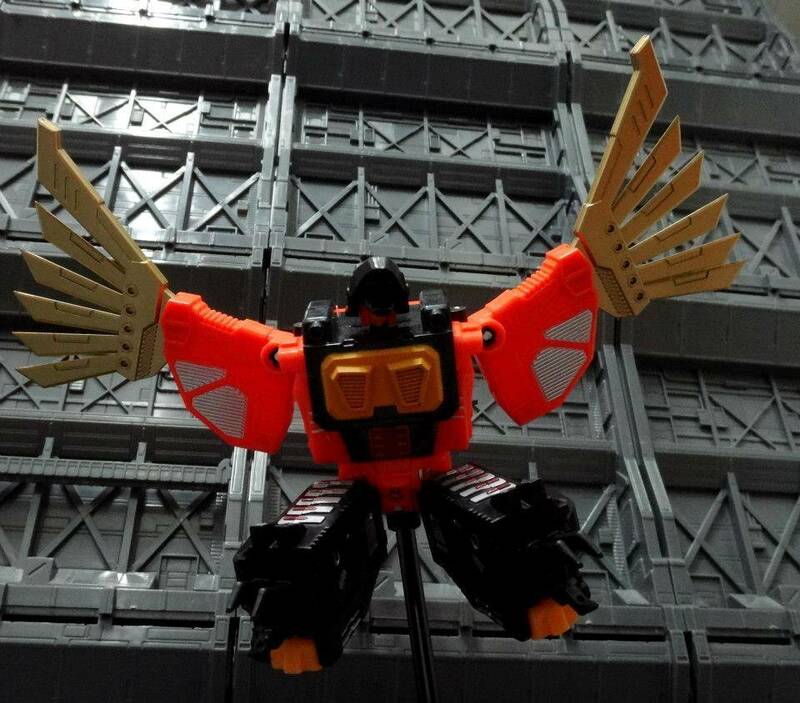 The robot mode, while better than the hawk mode, still suffers from outdated engineering. The figures arms are constructed to swivel from within the shoulder rather than the torso, which leaves a huge visible gap when the arm is raised. The head is very prone to swivelling out of position back into the hawk head. Lastly, the paint on the figure's chest is very thin and desperately in need of a second coat. 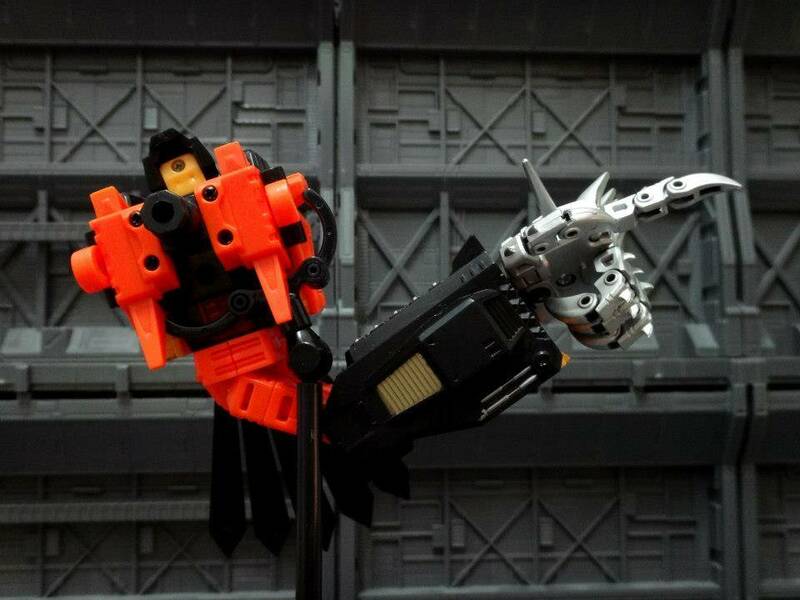 The arm mode, while solid, suffers from joints that aren't as tight as necessary to maintain a pose or hold War Lord's sword without additional support (as War Panther properly demonstrates as the opposite arm) . The connection port is also poorly-sized to fit inside War Leo's combiner socket, which will required some sanding down in order to attach and remove without excessive force. The figure's greatest shortcoming however are the wings. 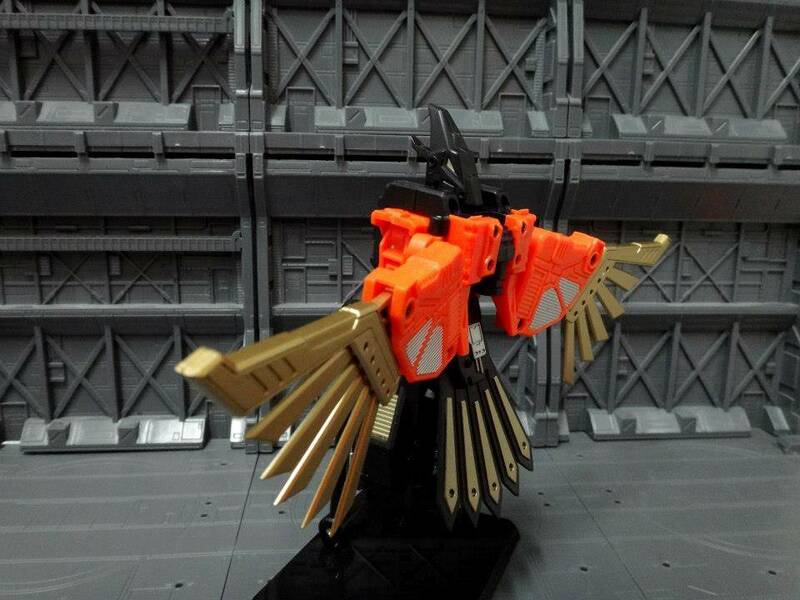 While the wings are designed to detach for combination, the pegs used to connect the wings are VERY fragile and will break if not handled carefully. There are also reported instances of these pegs being improperly molded and unable to attach securely, requiring replacement if this turns out to be the case. While the flaws are understandable due to being Unique Toys' first release, this figure is absolutely not recommended for solo purchase, and should only be bought for a complete War Lord combination. I got this figure a while ago and honestly it is spot on and I have commented to the rest of this set, the wings on mine were loose, and one of the leg panels popped off right out of the box but those where easy fixes. I did not have a problem with the head it is nice and tight. After getting Hexatron I do regret my decision a bit as that figure is flawless. But it depends on what you’re looking for in your collection neo versions like MMC or more g1 accuracy like UT I don’t think you can go wrong either way, if I get the money I will get both sets. but for now warlord is my set of choice. Honestly this figure isn't so bad. Yes it does have its flaws like the yellow paint job was clearly done in a rush manor. Appart from that I haven't notice any other flaws on the figure. I do wish these figures came with guns just like their G1 counterparts but I suppose you cant get everything. I'm sure Unique toys will take there time with the other four beast. 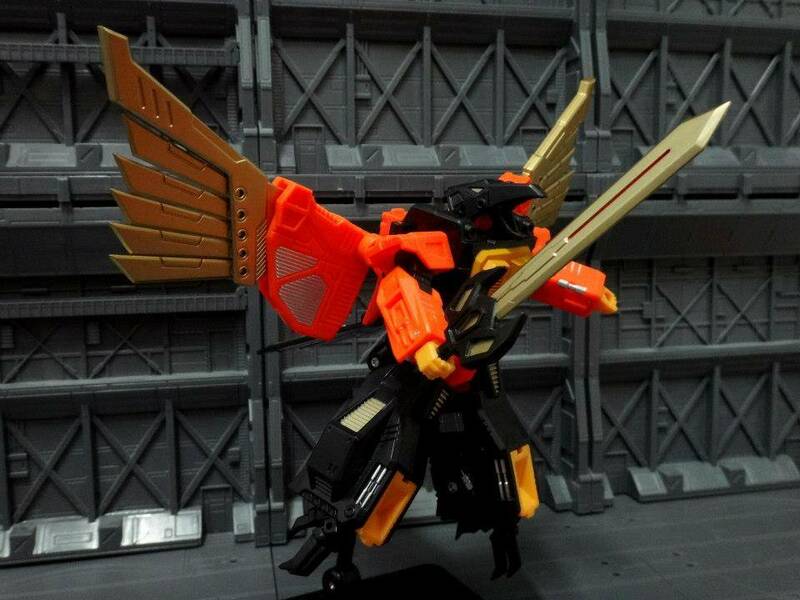 MMC does look lovely but until one of them come out i don't think its fair to totally slag the unique toys figures. With all due honesty, it's a nice figure. However I was a little disappointed to see that this figure as with the others in the group will not have handguns. Perhaps a third party group will make some. Lord knows the MakeToys figures could use them. As pointed out in most of the reviews for War Hawk that I've seen the head is loose. I'm talking newborn baby loose. Which is a little off putting. But that can be fixed. The plastic quality in my opinion is...eh. There is so much more that they could've put into and added to this figure. The drawing of the figure depicts blasters on the forearms but when you look at the figure itself what you see is a bit of a let down. I am going with this company mainly because of their pricing. 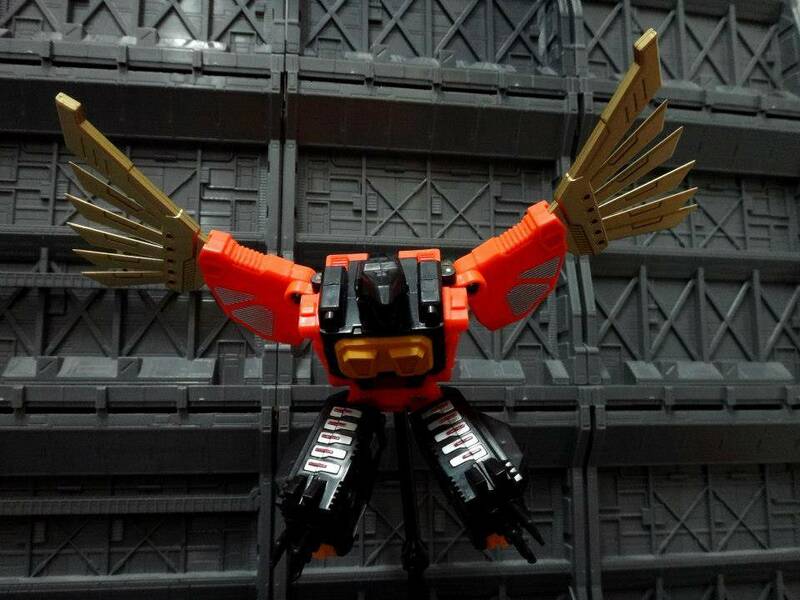 Compared to MMC's release of the same take UniqueToys gets the poor man's choice awards, and I am the poor man. I cannot spend as much as MMC wants for their releases. I wish I could. Besides my wife wouldn't let me no matter how much chocolate and TLC I try to bribe her with. In conclusion UniqueToys got it right with the resemblance and spirit, but sadly you get what you pay for. In the end what do you want economic, and budget friendly old school or costly new school?